There’s no proper name for what Washed Out does. It’s appropriate, then, that Ernest Greene, the genre-defying artist behind electro-chill act, named his sophomore album Paracosm, which means “a prolonged, detailed fantasy world created by children.” Here, Greene decoupages an expansive, otherworldly landscape with innovative, dreamy melodies and hip-hop beats that feel out of focus, wildly ecstatic, and mournfully bleak. Album standouts “Don’t Give Up,” “Great Escape,” and “All Over Now” play out like stream-of-consciousness dirges, while lead single “It All Feels Right” is a daydreamy tune infused with oscillating synths and vibrant vocals. In fact, almost everything on Paracosm seems to cohesively reverberate, from the beats to the vocals to the synths that all float together into a lush expanse of sound. 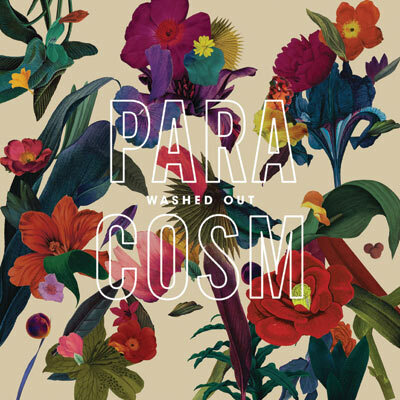 Washed Out’s name may accurately reflect its musical aesthetic, but Paracosm is nothing if not a simple and elegant declaration of independence.